Dale Earnhardt, Jr. said last week what many of us have been thinking for years; that it’s time for NASCAR to put a stop to the ludicrous practice of post-race burnouts. Earnhardt’s comments were spot-on and long overdue. In an era where the difference between legal and illegal is often measured in thousandths of an inch, it makes no sense for NASCAR to continue allowing winning teams to demolish the rear end of their machines with a series of lengthy, tire-blowing, fender-shredding burnouts. The sanctioning body long ago banned swerving on the post-race cool down lap, after teams used the technique to reset their cars’ rear suspensions to a more neutral (read legal) configuration, just in time for the weekly round of post-race, white-glove scrutiny. If a simple swerve is enough to camouflage under-the-car mechanical chicanery, how can a pair of exploding rear tires not accomplish the same nefarious goal? In addition to being cliché, predictable and dull; these weekly, post-race donut fests are now entirely devoid of any spontaneity or emotion. They are the motorsports equivalent of celebrating a Kentucky Derby victory by shooting Secretariat. And more important, they’re no longer fooling anybody. NASCAR senior vice president of competition Scott Miller defended the sanctioning body’s post-race protocol in a written statement last week, saying, “We're confident that our process provides a fair playing field for all of our competitors, while also allowing the fans to enjoy the celebration of the winning driver. Earnhardt, however, doesn’t seem to be buying it. 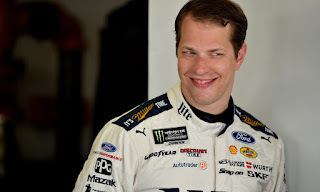 He directly addressed the long-ignored elephant in the room last week, acknowledging that winning drivers are intentionally blowing out their rear tires, under the guise of post-race celebration. The resulting damage makes it virtually impossible to take accurate measurements after the event, while also providing crewmembers with an opportunity to illegally manipulate their cars while replacing those smoldering tire carcasses. In the days when post-race inspections were conducted with a tape measure and the naked eye, drivers had neither the need nor desire to destroy their winning mounts. Burnouts were unheard of, with winning drivers generally taking a nice, slow celebratory lap with the checkered flag before driving directly to Victory Lane. Today, however, it’s more about covering their clandestine tracks and beating the lasers with a post-race burndown thinly veiled as celebration. 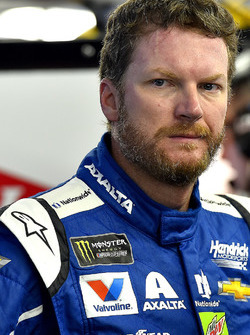 "Until (the officials) tell them not to do it, it's fair game,'' added Earnhardt last week. "It just upset me -- with what happened to Chase and how they sort of got zeroed-in on -- when all this is going on right under everybody's nose. Richard Petty reacted angrily today to news of the withdrawal of Smithfield Foods as major sponsor of Richard Petty Motorsports. “We have had numerous discussions with Smithfield Foods regarding the extension of our relationship, dating as far back as February," Petty said. "Over the past few months, Smithfield had continually told me they wanted to be with us, and I recently shook hands on a deal to extend our relationship. I come from a time when we did major deals with sponsors like STP on a handshake. I'm sad to see this is where we are now. "This decision is very unexpected, and we are extremely disappointed in this late and abrupt change of direction," he added. "Losing a sponsor of this magnitude in September is a significant set-back to Richard Petty Motorsports, but Andy (Murstein) and I are committed to moving forward with the No. 43 team. We have a lot of great partners who have expressed their continued support, and our fans will rally around the No. 43. We've been around since 1949, and we'll be around a lot longer." Petty also confirmed that driver Aric Almirola will not return to RPM next season. Almirola is widely expected to accompany Smithfield to Stewart Haas Racing. 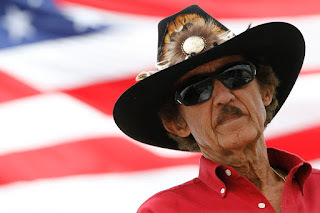 Smithfield Foods announced last week that it will leave Richard Petty Motorsports at season’s end to join Stewart-Haas Racing as a primary team sponsor. 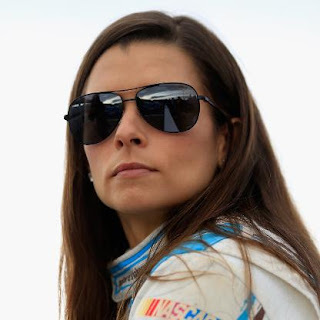 Shortly after that announcement, Danica Patrick confirmed that her tenue at SHR will end at Homestead Miami Speedway. “It has been my honor to drive for Tony Stewart, Gene Haas and everyone at Stewart-Haas Racing for the past six seasons,” said Patrick in a written statement. “Together, we earned a Daytona 500 pole, seven top-10 finishes and we also had some exciting racing along the way. My time driving for them, however, has come to an end due to a new sponsorship arrangement in 2018. Saturday night was a bad night for the umpires. 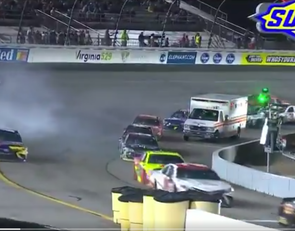 In its much-anticipated final event of the regular season, NASCAR impacted the outcome of the Federated Auto Parts 400 at Richmond Raceway with a series of questionable calls that defied both explanation and logic. The first sign of trouble came on Lap 88, when leader Matt Kenseth locked-up his left-front brake on entry to Turn Three, producing a brief plume of tire smoke. NASCAR threw the caution flag, despite no contact, crash or debris. Had it ended there, the unnecessary caution would have quickly been forgotten; a simple case of an itchy trigger finger by an official tasked with safeguarding the safety of competitors. On Lap 257, Danica Patrick brought out the fifth caution flag of the evening, spinning in Turn One after contact with Austin Dillon. As the field pitted for tires and fuel, drivers encountered an errant ambulance parked at the entrance to pit road. 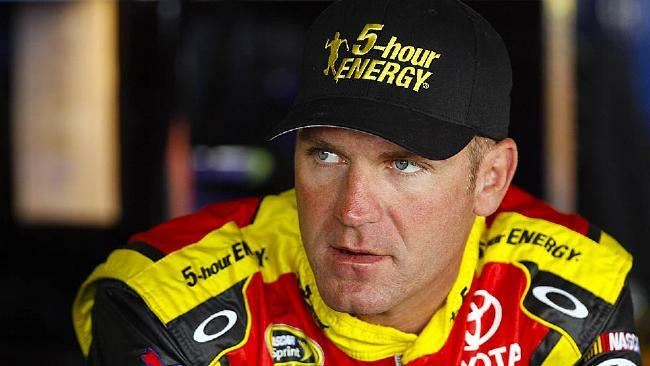 As competitors braked and swerved to avoid the vehicle, Matt Kenseth ran into the back of fellow playoff contender Clint Bowyer. Kenseth was sidelined with front-end damage and a ruptured radiator, while Bowyer was forced to restart at the rear of the field after pitting for repairs. 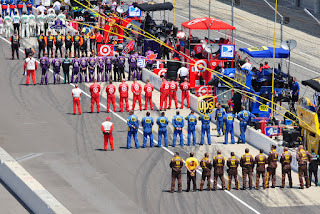 NASCAR Senior Vice President of Competition Scott Miller blamed the incident on an ambulance driver who pulled onto the racetrack without permission, then failed to stop immediately when ordered to do so. 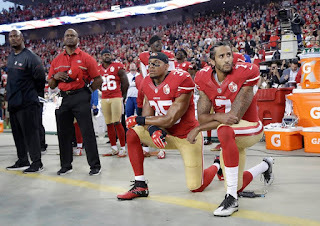 “(We told him) `Stop,’” said Miller. “Pretty simple, `Stop!’ He didn’t stop when he was told to. Many observers questioned why an ambulance was dispatched at all, since Patrick never came to a complete stop during a solo spin that featured no significant contact and no damage. 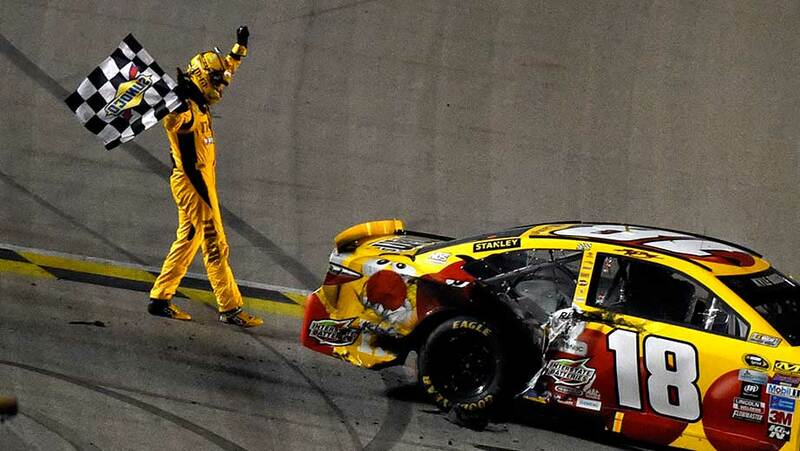 Unfortunately for NASCAR, the worst was still to come. With just three laps remaining and leader Martin Truex, Jr., on his way to a dominant fifth victory of the season, veteran Derrike Cope – running 16 laps down to the leaders -- brushed the Turn Four SAFER barrier. The incident did no damage to Cope’s Chevrolet and dropped no debris on the racing surface, but inexplicably triggered a late-race caution flag. Truex forfeited his three-second advantage, lost the lead to eventual winner Kyle Larson during a dramatic pit-road money stop, then crashed on the ensuing restart after being hit from behind by Denny Hamlin. 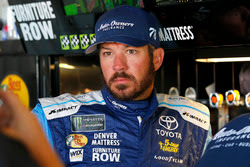 Truex’s anger was understandable, especially considering the events of the previous weekend, when he slammed the wall at Darlington Raceway while leading with just three laps remaining. The impact severely damaged his Furniture Row Racing Toyota and dropped debris on the racetrack. It did not, however, trigger a caution flag. In the past, NASCAR has been accused of manipulating the outcome of races; making calls (or not) with an eye toward creating the kind of “Game Seven moments” espoused by CEO Brian France. Saturday night’s unnecessary, late-race caution will absolutely amplify those complaints, and justifiably so. Had Cope’s wall-duster occurred in the middle stages of Saturday night’s race, it would almost certainly have gone unnoticed, with no reaction from NASCAR. With three laps remaining, however, it provided an opportunity for the sanctioning body to avoid a ho-hum, half-lap margin of victory, throw an unnecessary caution flag and create a nail-biting finish. Saturday night’s call created a slam-bang ending, a come-from-behind winner and plenty of water-cooler talk on Monday morning. Unfortunately, it did so at the expense of the sport's integrity. 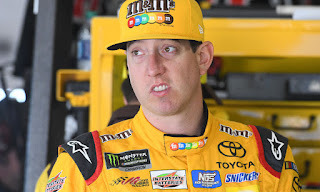 Simply stated, if Cope’s incident would not have produced a caution flag on lap 57 – and it most certainly would not – it should not have produced a caution flag on lap 397. Race Directors, track workers and ambulance drivers are all human beings, capable of human error. No one expects them to get every call precisely right, every single time. Mistakes are part of every game, whether it’s baseball, football, basketball, or NASCAR. 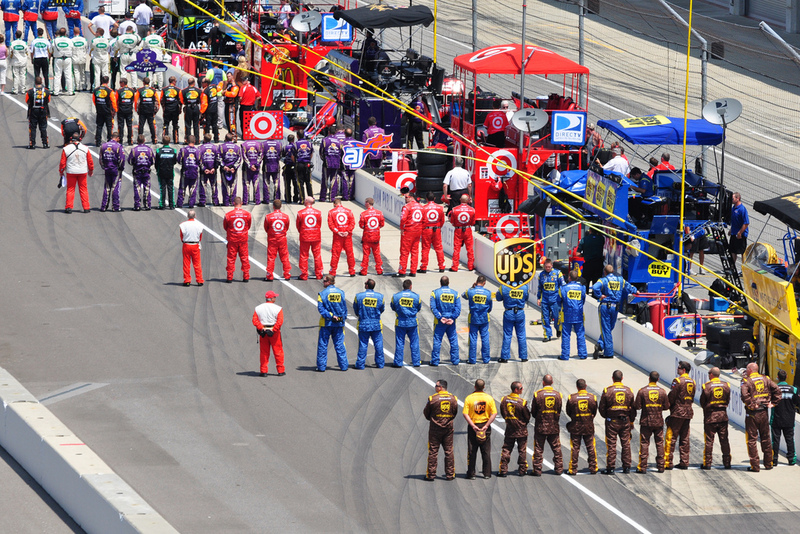 Unfortunately, NASCAR sometimes appears more interested in doing what’s exciting, rather than doing what’s right. And the sport is poorly served by that approach. Going forward, NASCAR must eliminate the kind of situational ethics that governed Saturday night’s race, concentrating on making the correct call, regardless of how it might impact the quality of the finish. If Truex’s Darlington crash was unworthy of a yellow flag, Cope’s Richmond incident was most certainly not. Arguing otherwise does nothing but insult the intelligence of the fan base. With just one race remaining in the 2017 Monster Energy NASCAR Cup Series season, it is “Do or Die” time for a number of prime contenders. The championship picture has become more clear with every passing week, until now, every contender knows exactly what they must do to be a part of the championship field at Chicagoland Speedway in two weeks. Logano: "We're in this together." As long as there is no new winner – or Joey Logano does not repeat his earlier encumbered victory at Richmond this weekend -- Chase Elliott, Matt Kenseth and Jamie McMurray will qualify for the 2017 playoffs on points. Elliott, Kenseth and McMurray remain winless in 2017, and left the Lady In Black seventh, eighth and ninth in the championship standings, separated by just three points. If a new winner goes to Victory Lane this weekend — or Logano returns there with no technical issues -- only two of those three drivers will qualify for the playoffs. Logano was once again a step behind at Darlington Sunday, running in the back half of the Top-10 for most of the night before fading to 18th at the drop of the checkered flag. Logano’s Shell-Pennzoil Ford team has never recovered from that encumbered win at Richmond in the spring, and the Connecticut native currently does not appear to have the off-the-truck speed necessary for contend for either a Richmond win, or the MENCS championship. This is the same Logano, however, who pulled a rabbit out of the hat twice in recent playoff runs, claiming “must win” victories in the final race of a playoff round to keep his title hopes alive. Crew chief Todd Gordon is one of the most aggressive pit bosses in the game, and will absolutely roll the dice on strategy if necessary, to put his driver in position to steal a win. “We’re going through a little bit of a downturn right now,” admitted Logano last week. “It’s obvious, and it’s something as a team that we haven’t gone through together, But we’ve all gone through it individually before and we’ve all come out of it. “These are the moments that are a true test of your character and who you are; the way you handle these situations internally in your team. And it’s time to step up and be a leader. 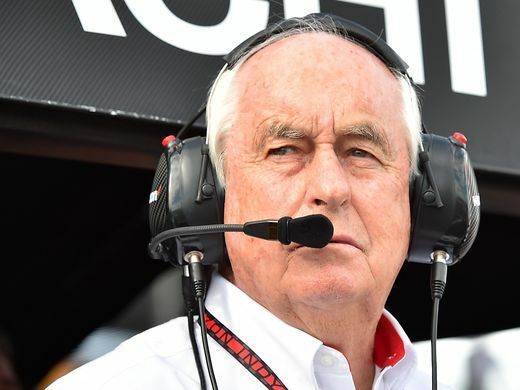 Logano admitted that his Team Penske organization has struggled to keep pace with the Toyota-backed Furniture Row and Joe Gibbs Racing teams. “Let’s face it, the things that we’ve done in the past to be successful are not working,” he said. “You have to understand what’s going on; take a step back and reevaluate. We have to go back through things to find speed in our cars… compared to the Toyotas. “Let’s be honest, those are the fastest cars right now, every single week. Obviously, we have to take big steps to catch them. That’s not to say we can’t catch them, we will catch them. Racing goes in cycles, it always does. It’s just a matter of weathering the storm and staying together as a team. Logano is not the only driver capable of summoning the spirit of Jeremy Mayfield and claiming a last-second playoff berth by winning Saturday night’s regular-season finale. 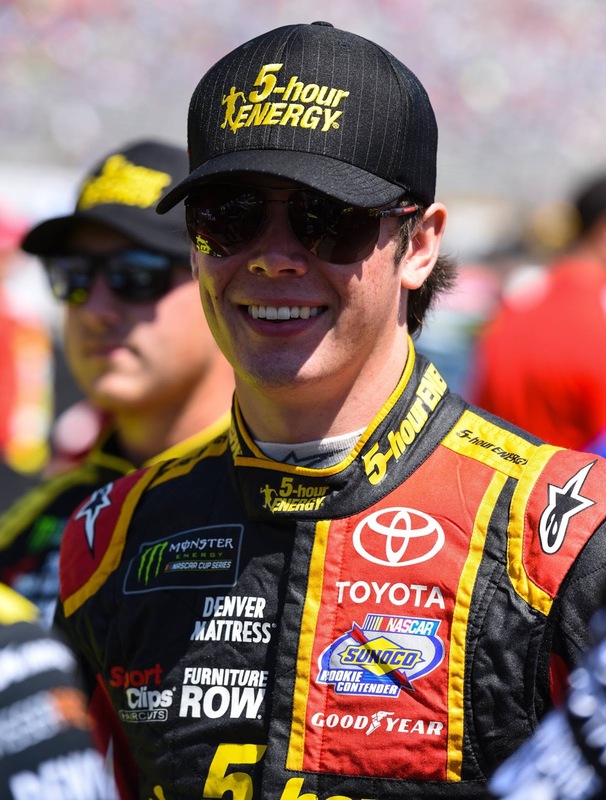 Chief among them is Furniture Row Racing rookie Erik Jones, who followed up a stellar, runner-up finish to Kyle Busch at Bristol Motor Speedway two weeks ago with an equally impressive fifth at Darlington. Fellow freshman Daniel Suarez had less luck at Darlington, crashing en route to a 38th-place finish. But like Jones, he has shown sufficient speed to win this weekend, if all the cards fall his way. Trevor Bayne, three-time Richmond winner Dale Earnhardt, Jr., Paul Menard and Ty Dillon would also contend for a win, with a little luck, as could Clint Bowyer, whose playoff hopes suffered a major blow Sunday when engine issues ended his evening after just a handful of laps. “It just blew up,” said the Stewart Haas Racing driver afterward. “It’s a pretty inopportune time to have it happen, but it’s never a good time. Doug Yates and all the guys over at his shop do such a good job of bringing us reliable, good horsepower and it was just my time. It was my turn and there isn’t much you can do about it.” Bowyer now must win this weekend at Richmond to earn a spot on the 2017 playoffs. “We’re not out of this thing,” Bowyer said. “We’ll just go (to Richmond), do the best we can and put all the cards on the table. The stage is set for a Game Seven Moment this weekend at Richmond. Now, it’s time for someone to step up and seize the day.